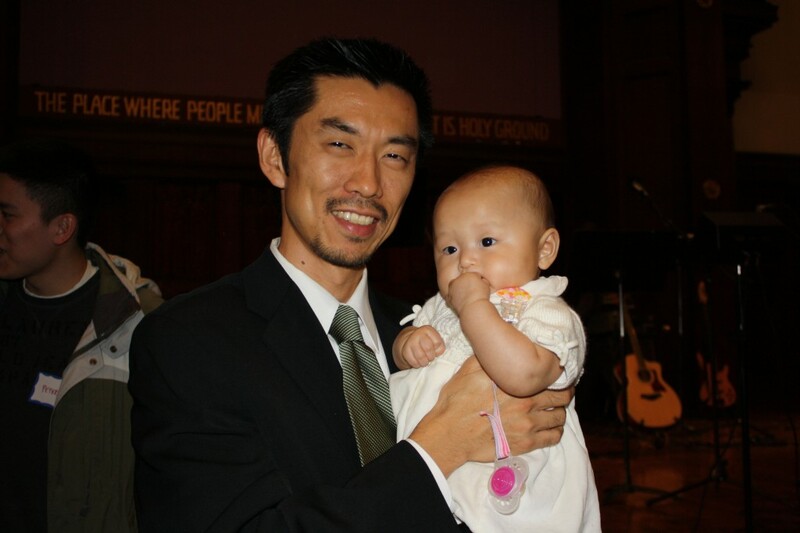 zoe was in her usual good baby mode last week at her baptism…rolling with it no matter what. she’s curious about what her loopy parents had dragged her into this time. oh, water. i like water! she was calm even during the healthy dousing of water. family members were amazed. here godfather q and z meeting for the first time. rev. q was also the baptizing minister. i think zoe’s officially cuter than your (baptized)baby. but we’re totally biased….and that’s ok.
And do you mean BAPTIZED as in Infant Baptism? Does OCM allow that? =P Or do you mean Dedication?